Hi there, Iowa State students! Today on the blog, we will discuss the upcoming SALC events for the spring semester. Don’t miss the last few men’s and women’s games at Hilton Coliseum! Monday, February 25th: ISU vs. Oklahoma @ 7 p.m.
Saturday, March 9th: ISU vs. Texas Tech @ 1 p.m.
Saturday, February 23rd: ISU vs. Baylor @ 3 p.m.
Monday, March 4th: ISU vs. Kansas @ 6:30 p.m. Ambassadors will be doing a bags tourney at State Day on March 28th. Stay tuned for more information about the Ambassadors committee, as well! Mark your calendars! Spring 2019 Senior Week is April 22-26 and will be full of fun activities. Stay updated by following their social media platforms! The 2019 Homecoming dates have been released! Be sure to clear your calendar for the week of October 20 – 26. Also, be on the look out for the release of the 2019 Homecoming theme. Time to rise up #cyclONEnation, it’s Cy-Hawk gameday! This matchup is the most anticipated rivalry game throughout our great state of Iowa and this year’s competition will be nothing short of spectacular. So, without further adieu, here is a quick preview for tonight’s rivalry game. First things first, the Cyclones (7-1) will be heading to Iowa City to play the Hawkeyes (6-2) which will most certainly provide for a wild environment. Luckily, players like Nick Weiler-Babb, Marial Shayok, and Michael Jacobson have experienced playing big time rivals on the road. For instance, Babb was present the last time the Cyclones took the trip down to Iowa City and Jacobson has played in Carver Hawkeye Arena as a Husker. This game will also be a true testament to what our young players can do in a high pressure environment. The freshman for both teams will certainly make for an interesting game. From an Iowa State standpoint, we’ve seen what Tyrese Haliburton, Talen Horton-Tucker, and Zion Griffin can do when they get into the groove of things. As for Iowa, they utilize freshman Joe Wieskamp who is sure to play this evening, despite an ankle injury that occurred this past Monday. The Cyclones also have a slight edge, for the fact that Cameron Lard and Zoran Talley both returned Monday evening to help Iowa State to a win over NDSU. Having these two men back in lineup will sure be helpful this evening against the Hawkeyes, as well. Nonetheless, despite the records that these two teams uphold, it will most definitely be a close game, since everyone desires bragging rights for the year. Our Cyclones are ready to defeat the team out East and make it a Cyclone State once again! Let’s do this, CyclONEnation! Hilton Madness Recap/Happy Homecoming Weekend! On October 12th, the men’s and women’s basketball teams gave CycloneNation a little taste of what is to come this upcoming basketball season. We previewed a bunch of action from both programs that provides us with hopeful attitudes. To be specific, in the dunk contest, Lindell Wigginton hopped over his teammate, Cameron Lard for a spectacular display of athleticism. The women’s team showed a great amount of promise with Alexis Middleton and Bridget Carlton leading the team. Overall, both programs will continue to improve this year and be a force to be reckoned with in the Big 12 Conference. Another very important event for the Student Alumni Leadership Council is Homecoming! Although we are almost near the end of Homecoming Week, Cyclone Alley would just like to commend all of the people who made this week so special. 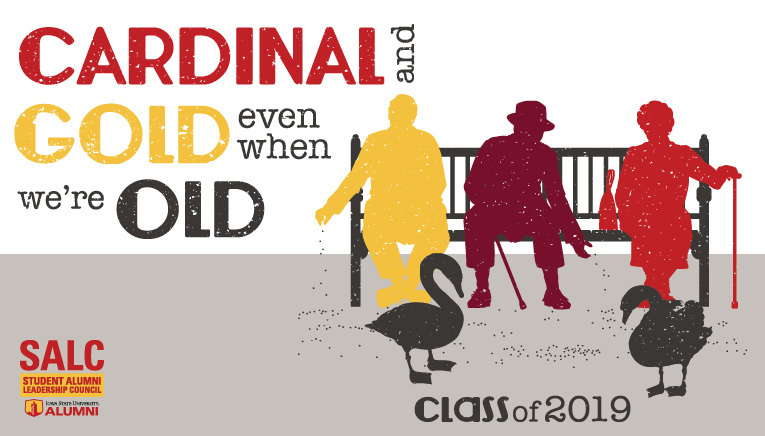 From Yell Like Hell to Cardinal and Gold Tournaments, the work of Homecoming Central Committee members does not go unnoticed. Now lets go out and #WreckTech tomorrow. Go State! Student Alumni Leadership Council Upcoming Events! 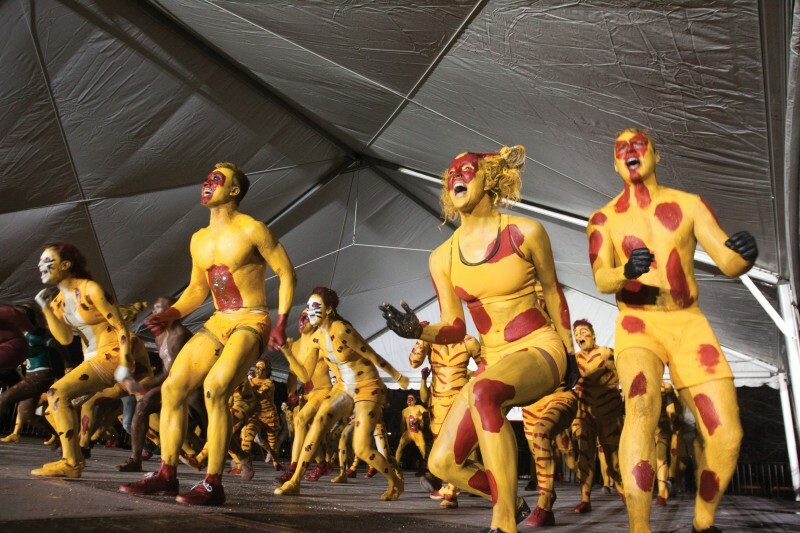 The fall season for Student Alumni Leadership Council members consists of the planning and execution of several popular Iowa State events! For instance, in just a few weeks Hilton Madness, Homecoming, Senior Week, and the CyMazing Challenge will all be happening. This provides the city of Ames with an array of activities for all ages, as well as Iowa State University students themselves. Lets dive into each specific committee and see what they have going on in the next couple of weeks! First cuts: October 20th from 1 p.m. – 5 p.m. on Central Campus. Second cuts: October 24th from 6 p.m – 9 p.m. on Central Campus. October 20th from 2 p.m. – 7 p.m.
October 21st @ 2 p.m. in Downtown Ames. October 24th from 7:30 p.m. – 9:30 p.m. @ the Iowa State University Alumni Center. October 26th from 6 p.m. – 9 p.m. @ the Iowa State University Alumni Center. November 4th @ 12 p.m. at the Iowa State University Alumni Center. Register as groups of four for an event that is sure to test you physically and mentally! 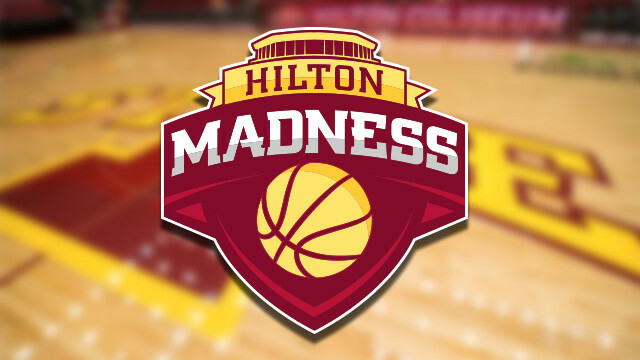 Hilton Madness: Friday, October 12th Hilton Coliseum @ 7 p.m.
Free event to the public, including Iowa State students. Preview of men’s and women’s basketball team for the 2018-2019 season. Free food each day of the week on Central Campus! Monday, October 15th: Pizza, 11 a.m. – 1 p.m.
Tuesday, October 16th: Walking Tacos, 11 a.m. – 1 p.m.
Wednesday, October 17th: Wieners for Seniors, 11 a.m. – 1 p.m.
Thursday, October 18th: Pork Burgers, 11 a.m. – 1 p.m.
Friday, October 19th: Doughnuts and Coffee, 8 a.m. – 11 a.m.
Meet the 2018-2019 Cyclone Alley Central Committee! Say hello to our Cyclone Alley Central Committee for the upcoming 2018-2019 basketball season. We are so excited to continue cheering on our Cyclones and are looking forward to seeing all of you at Hilton this upcoming season! Read through our following committee spotlights to get to know our Cyclone Alley members a little better! Favorite Basketball Memory: Matt Thomas’ dunk against Kansas. Favorite Basketball Memory: Naz Long’s 3 pointer against OSU in 2014. Favorite Basketball Memory: Winning the Big 12 Tournament over West Virginia in 2016. Favorite Basketball Memory: 2015 comeback against Iowa. Favorite Basketball Memory: Iowa State’s 21 point comeback against Oklahoma in 2015. Favorite Basketball Memory: Every Kansas game that we host because Hilton is full and filled with energy! Favorite Basketball Memory: Watching the men’s team win the Big 12 Championship in Kansas City in 2017! Favorite Basketball Memory: Monte Morris’ buzzer beater versus Texas in the 2015 Big 12 Tournament. Favorite Basketball Memory: Iowa State beating Kansas on College Gameday in 2016. Favorite Basketball Memory: Any time we beat Iowa, especially the 2015 comeback game. Favorite Basketball Memory: Any home game against Baylor. They’re always super high energy and fun! Favorite Basketball Memory: Donovan Jackson’s first game back after the passing of his father. The team wore DJ shirts to honor his dad! Favorite Basketball Memory: 2015 comeback against Oklahoma.